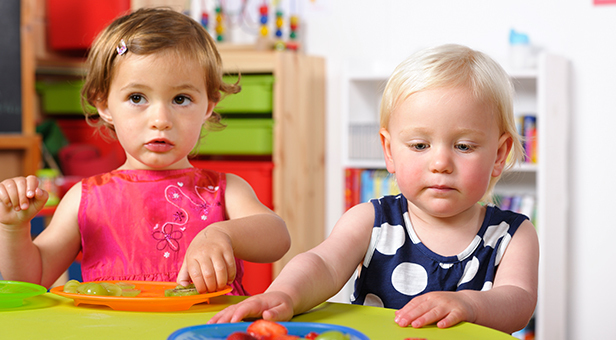 Whether food is brought from home or prepared onsite, the food eaten at early childhood services important role in helping young children develop good eating habits. Nutrition Australia can support early childhood and out of school hours care (OSHC) services in Western Australia meet the healthy eating requirements of the National Quality Standard. Our experienced dietitians and nutritionists will help you promote healthy eating in line with the Australian Dietary Guidelines. Our services also complement Get Up & Grow. Topics include developing healthy eating policies, promoting healthy eating to children, dealing with fussy eaters, working with families and packing a healthy lunch box. Click here to contact us or call 1300 515 523 to talk about how we can support healthy eating in your early childhood or OSHC service. Nutrition Australia members also get exclusive discounts!